This week, in response to multiple user requests, we’ve added two new datasets to the Planet OS Datahub. 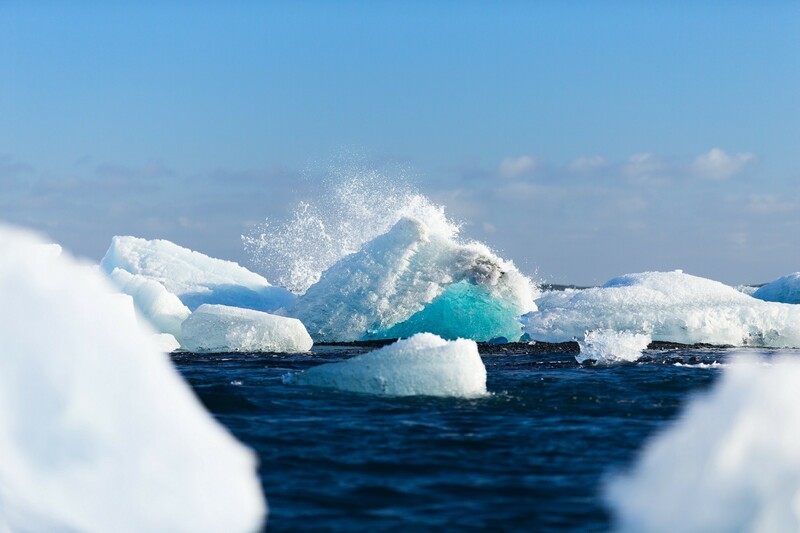 NCEP MMAB Global Visibility and Ice Accretion Guidance addresses sea ice accretion–the formation of ice on or near an object, usually a ship–and its relation to wind speed, freezing point of sea water, air temperature, and sea surface temperature. The Blended Sea Winds Climatological Monthlies dataset blends numerous satellite observations to form a cumulative monthly view into oceanic wind speeds across the globe over an 11 year period. The NCEP MMAB Global Visibility and Ice Accretion Guidance is an incredibly valuable asset for anyone trying to understanding ocean safety and fishing operation efficiency in places where sea ice is prevalent, such as Alaska. The effects of sea ice on small vessels is noted for causing boat instability which can induce capsizing. Fishing vessels, weighted down by their catch, are particularly sensitive to this. Ice also has adverse effects on masts and rigging by adding top weight and drag which in windy conditions can affect a vessels ability to navigate correctly. It also has a tendency to accrue around a vessels communication equipment; this can cause breakdown in a vessel’s radar, outbound and inbound communication. For anyone trying to do anything on deck when significant sea ice is present, expect to be slowed; buildups of deck ice can inhibit one’s ability to move about. Additionally, equipment can become difficult to operate without significant manual effort around removing sea ice. If certain types of equipment require lubricants to operate correctly, the presence of sea ice might alter lubricant properties to the point where the equipment in question might be unable to function correctly. Fisherman, in particular, have had issues with unloading catch when sea ice is pervasive as many of the hatches needed to offload catch become frozen shut. If sea ice is a pervasive issue for you, the NCEP MMAB Global Visibility and Ice Accretion Guidance can greatly increase your awareness and ability to prepare. For additional details, the National Centers for Environmental Prediction provides [a more technical explanation of the dataset]. The Blended Sea Winds Climatological Monthlies dataset is a good reference point for anyone trying to understand the aggregated monthly changes in oceanic wind speeds over a multiyear period. For a more detailed look, we suggest checking out the [National Oceanic and Atmospheric Administrations blended sea wind dataset] also made available through the Planet OS datahub. As we pointed out in our analysis of offshore wind in the Baltic Sea, Oceanic wind will have a significant impact on future energy generation but, understanding wind speed also has serious impacts for any vessel attempting to round the Cape of Good Hope. To those with more gentlemanly pursuits, this data set would be perfect for someone desiring to avoid sailing for a week in becalmed heat. For additional details, the National Centers for Environmental Information provides [a more technical explanation of the dataset]. Do you have a dataset request? We would love to hear from you! Contact me at dpinger@intertrust.com. Thanks to Eneli Toodu and Chris Kalima.